Located at 509 Sunset Avenue, Houma, LA, we have been in business over 40 years. It is our mission to provide the highest quality workmanship and service to our valued customers. Remember you have the right to choose where you have your vehicle repaired, so why not choose the finest. We will work closely with all insurance companies as well as customer paid situations. 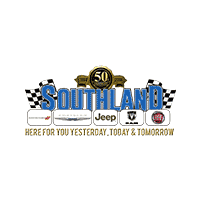 Let our professional team at Southland Dodge Collision Center take the stress out of your repair process. *For more specific information contact our collision center.